I am so thrilled to announce that Olaiya Land and I are getting the band back together for a photography and styling workshop in PARIS May 23-27, 2018! If you don't already know her, Olaiya is a Seattle-based cook and photographer. She draws on her experience cooking in professional kitchens and years spent living abroad to create visual stories for her food and travel blog, Milly’s Kitchen. She also teaches cooking classes, hosts a series of pop-up dinners and leads food and photography retreats designed to help people bring more creativity and inspiration into their lives. Her Paris workshops and pop-up dinners always sell out quickly, and I am so excited to revisit Paris under her expert guidance! We’ve planned four glorious days of cooking, shooting, and styling in a light-filled, absolutely stunning flat. 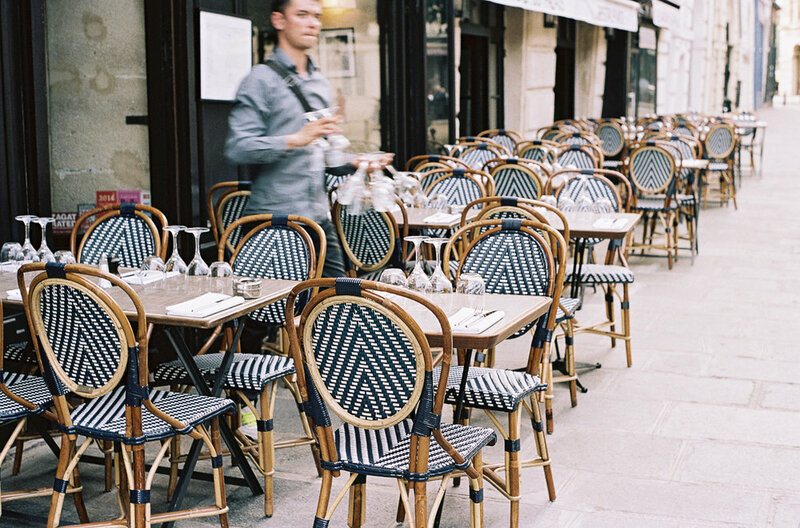 We’ll visit local markets, boulangeries and cafes as we stroll the streets capturing the light Paris is famous for and tasting the city's best chocolate, coffee, pastries, cheeses and natural wines. And of course we'll gather around the table to share meals both in our beautiful workshop apartment and out and about in Paris. Registration opens at 10 am PST / 1 pm EST today! Click through this link to learn all of the deets and sign up! See you in Paris! I am so thrilled to announce that I am teaming up with the illustrious Olaiya Land for a photography and styling workshop in PARIS this Spring! If you don't already know her, Olaiya is a Seattle-based cook and photographer. She draws on her experience cooking in professional kitchens and years spent living abroad to create visual stories for her food and travel blog, Milly’s Kitchen. She also teaches cooking classes, hosts a series of pop-up dinners and leads food and photography retreats designed to help people bring more creativity and inspiration into their lives. Her Paris workshops and pop-up dinners always sell out quickly, and I am so excited to visit Paris under her expert guidance! We’ve planned four glorious days of cooking, shooting, and styling in our light-filled Apartments Actually flat. We’ll visit local markets, boulangeries and cafes as we stroll the streets capturing the light Paris is famous for and tasting the city's best chocolate, coffee, pastries, cheeses and natural wines. And of course we'll gather around the table to share meals both in our beautiful workshop apartment and out and about in Paris. Registration opens at 1 pm PST / 4 pm EST today. Click through this link to learn all of the deets and sign up! See you in Paris!